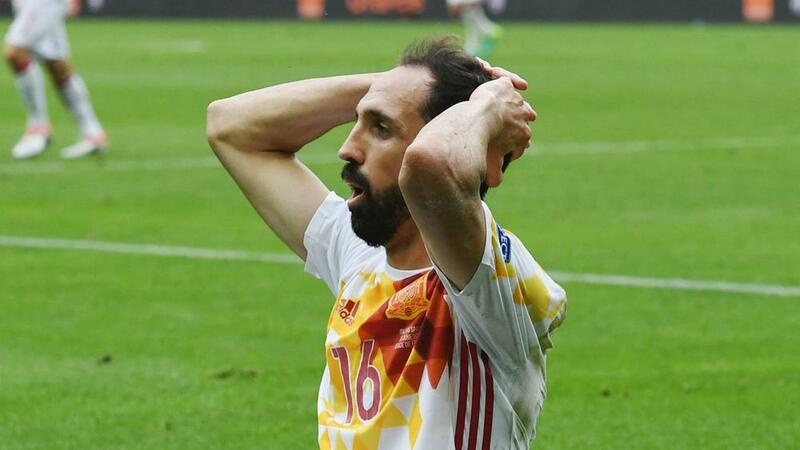 Juanfran is still hoping to earn a Spain recall despite not playing for the national team for the last two years. The Atletico Madrid defender, a European champion in 2012, started all four of Spain's games at Euro 2016 but has not featured for them since. Spain coach Luis Enrique has not named Juanfran in either of his squads to date, with Wolves defender Jonny Castro Otto called up for his month's matches with Wales and England in the absences of Dani Carvajal and Sergi Roberto. However, the 33-year-old insists he will not turn his back on international football. "I would be happy, until I retire, to be available to the national team," Juanfran told Onda Madrid. "I wish Luis Enrique could have called me up. I feel very proud to wear that shirt. "I consider it my home because I have been a European champion with the national team, I have been to the World Cup." Juanfran's Atletico team-mate Lucas Hernandez this week revealed he had rejected an offer to join city rivals Real Madrid. Lucas' younger brother Theo is already on Madrid's books, having joined from Atleti, but Juanfran feels the World Cup winner understands what it takes to play for Diego Simeone's side. "He is a squad player and he knows what Atletico is. He feels very identified with this shirt," Juanfran added. "It is what we want from our players and from those who come from outside: that they become involved and know immediately the values and what is needed to play at Atletico." Diego Godin, named on the 30-man Ballon d'Or shortlist this week, was also singled out for praise by Juanfran, who said: "He is the best centre-back in the world." Tite: Vinicius "Missed An Opportunity"